How the Ford F-150 became king of cars | Redux & Co.
Ford has doubled down on its best-selling pickup trucks. In April, Ford announced that it will be phasing out nearly all of its passenger cars in the United States. If all goes according to plan, 90 percent of Ford’s portfolio in North America will be trucks, SUVs and commercial vehicles. Its F-150 – the most popular vehicle in America – is now poised to build on its stunning success. The model’s ascent is really part of a larger, decades-long trend of Americans’ eschewing sedans for trucks and SUVs. But why do Americans flock to the F-150 over the Tacoma or the Silverado? I study how innovation drives success in competitive markets, and Ford’s emphasis on original design – together with its frequent upgrades – have allowed the F-Series to gain an edge over its peers. 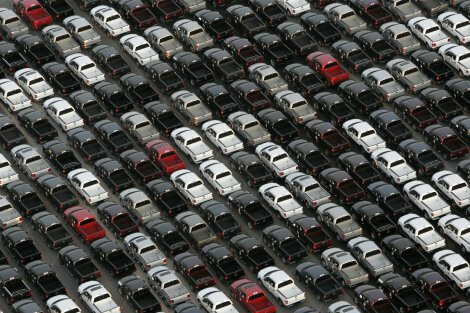 By the end of World War II, the car market in the United States, was, by and large, a seller’s market. From February 1942 to October 1945, the War Production Board froze automobile production for civilian use, which created pent-up demand for 5 to 9 million new cars by the time the war ended. In a race to cash in, U.S. automotive manufacturers capitalized on the expertise they had gained from manufacturing military trucks during the war and introduced trucks – in addition to cars – into the market. In the past, trucks had been marketed to farmers and business owners. These newer trucks, advertised as a more comfortable ride with larger cabins, were designed to also appeal to suburban buyers. In 1947 Chevrolet launched its Advance-Design trucks, while the now-defunct International Harvester launched its KB Series. The following year, Dodge released its B Series, and Ford introduced its F-Series. With design offerings that could appeal to a range of customers, the F-Series was an instant success. The F-Series line-up included eight models with varying sizes and cargo capacities, from the F-1, a light-truck with half-ton capacity, to the F-8, a 3-ton, heavy-duty truck. To appeal to a wider range of buyers, Ford designed a considerably more spacious and comfortable cabin. Dubbed the “Million Dollar Cab” to underscore the one million dollars the company spent on its design, this cab was wider, quieter and featured luxuries like a full interior trim, sun visors, an ashtray, and easy-to-read instrument panel. Since the earliest days of the U.S. auto industry, innovation has been a critical element for sustained success. To keep up with the evolution of consumer demands and emergence of new technologies, automakers have to invest heavily on research and development. In 2017 alone, they spent more than $100 billion globally. Companies that fall behind in this innovation “arms race” tend to either go out of business or are acquired. Now in its 13th generation, the F-Series has been through more frequent upgrades and redesigns than its competitors, and its innovation is a big reason for the line’s enduring popularity. We saw it in the early 1950s, when Ford updated its Million Dollar Cab by designing a “Five Star Extra Cab,” which came with foam seat padding, twin horns, and improved sound proofing. We saw it in 1987, when the F-Series became the first pickup truck to introduce rear anti-lock brakes as a standard feature. And we saw this in 2014, when Ford invested US$3 billion to replace the truck’s steel body with an aluminum one, which shed, on average, 700 pounds and drastically improved the vehicle’s fuel economy. For these cutting-edge upgrades, the company has been handsomely rewarded. In 2017, F-150 was the best-selling vehicle in the U.S. – a title it has held for the last 36 years. More than 40 million F-Series trucks have been sold since 1948, making it one of the best-selling vehicles in history. Just how important is the F-Series to Ford’s bottom line? While Ford doesn’t disclose model-level profit data, it is estimated that each F-150 earns the company an operating profit of around $10,000 and generates around 90 percent of Ford’s global profits. In fact, the line of trucks is thought to be worth more than the entire company. In general, pickup trucks, and their less-rugged siblings, SUVs, generate more profit per unit than passenger cars. According to Bloomberg, the average price of a full-size pickup truck is around $45,000, with a profit margin of roughly 25 percent; the average price of a mid-size sedan, on the other hand, is around $22,000 with a 10 percent profit margin. This might explain why other car companies are also getting cold feet about their passenger cars. Fiat Chrysler has phased out the Dodge Dart and Chrysler 200 and announced that it will retool its factories in Michigan and Ohio in order to build a new pickup truck and two new SUVs. General Motors also reportedly plans to cut production of some of its passenger cars. Car sales as a percentage of total light vehicles sales has been in steady decline since the early 1980s. In May 2018, car sales made up only 32.1 percent of all light vehicles sales in the U.S., down from a 40-year high of 83.2 percent in October 1980. According to a recent study conducted by the University of Michigan Transportation Research Institute, people are switching to SUVs and pickups because these vehicles offer greater general utility and better on-road 4×4 capabilities and are safer. Meanwhile, low gas prices, increasing wages, ongoing economic expansion and soaring consumer confidence could mean more Americans are willing to shell out extra cash for a truck or SUV. 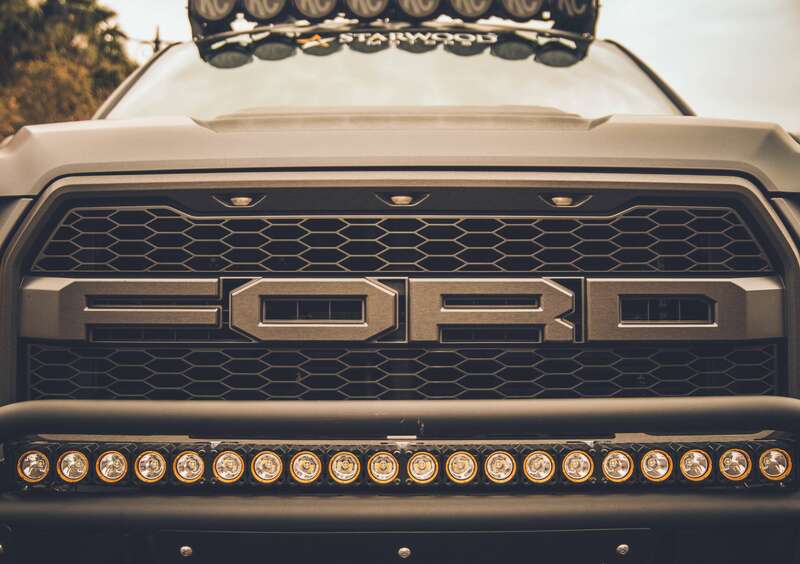 Together, these trends indicate that the F-150’s reign as king of trucks won’t end anytime soon. This entry was posted by pilot in Life Skills and tagged design, F-150, Ford, innovation, trucks, ww2, WWII.